Authors should submit the manuscripts which have been carefully read and polished. Before submission please make sure that your paper is prepared using the journal paper template. This will ensure fast processing for publication. Acceptance or rejection notification will be sent to the contributors. We are instructed to check for online plagiarism of paper before submitting to the journal. We accept extended version of papers previously published in conferences and/or journals. Submitted papers must be written in English, not exceeding 8 double-column pages IJAEFEA format. The Editorial Board welcomes authors for submission of papers in the discipline of mechanical engineering. The authors will be responsible for the content of the manuscript and its submission for publication in the journal. 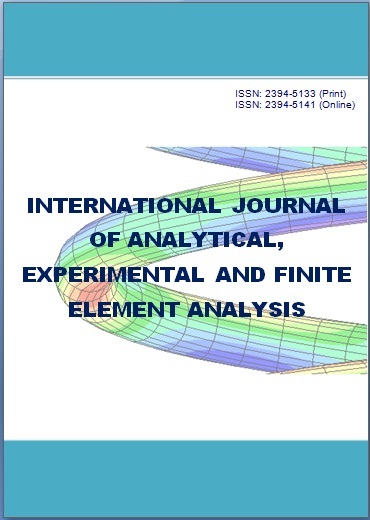 All the Manuscripts should be submitted by e-mail to the Editor at: editor.ijaefea@rame.org.in. -Submitted articles are sent to the reviewers. - Peer reviewers read the article and provide feedback to the editor. -If an article finally meets editorial and peer standard, it is published in the journal. -All papers are referred and the Editor in Chief reserves the right to refuse any typescript whether on invitation or otherwise to make suggestion and/or modifications before publication.